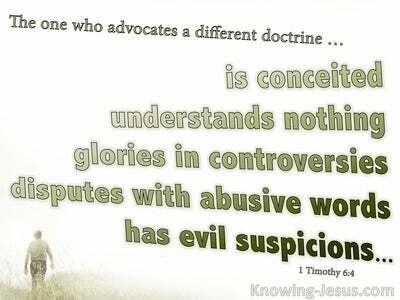 What Does 1 John 3:6 Mean? Every believer is placed in Christ – baptised into Christ’s body the moment they believe. 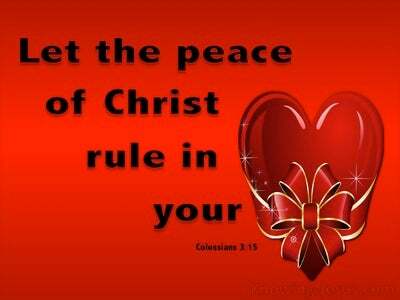 Every Christian is put into union with Christ, by the Holy Spirit, the instance they believe on Him as Saviour. Nothing can alter this position of permanence – we are placed in Christ when we are saved, and we become part of His body, forever. From that point on we have a new nature in Christ. The old sin nature is placed on the cross for we have been crucified with Christ – our old sin nature has been nailed on the cross – self has been put in the place of death in order to allow our new nature in Christ to grow and mature in the faith. Once we are in Christ we are commanded to abide in Christ… to remain in Christ… to stay in fellowship with the Lord - to enjoy communion with Him to rest in His love. Sin can break this sweet communion for when we sin we are not abiding in Christ – we have ceased to abide in Christ. When we sin, we have chosen a carnal route and stepped away from the spiritual walk in fellowship with God. When we sin, it is carried out by our old sin nature, indeed every sin that we ever commit, both pre and post salvation, is carried out by that old sin nature – the old man - the carnal self. No sin we engage in after we have been born from above is carried out in the new nature in Christ - for No one who abides in Him sins. We are positioned in Christ at salvation – which is a position that is eternal, and in Christ there is NO sin. 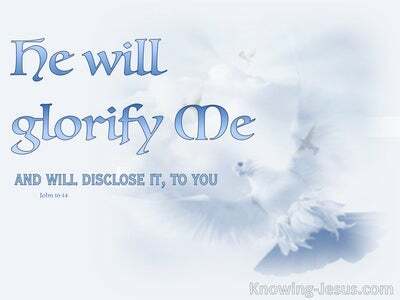 We are commanded to abide in Him from the moment that we have been placed in Christ and we can choose to abide and remain in Him and to walk in the new life of Christ OR we can chose not to abide in Him and walk in the old fleshly sin nature. 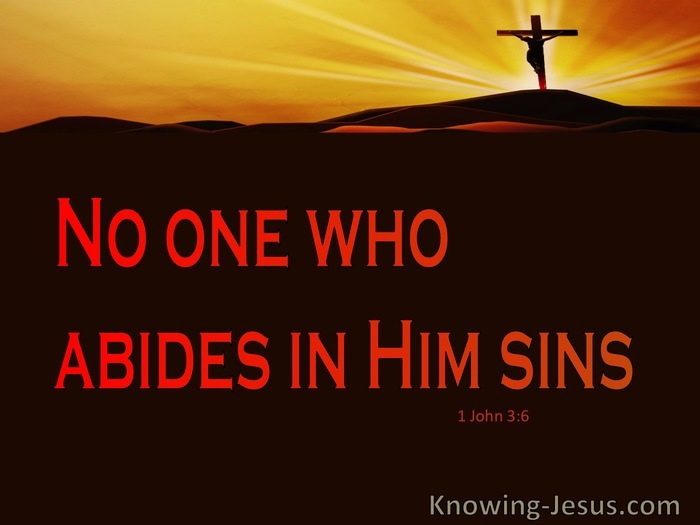 When we abide in Christ and remain in Him and walk in newness of life we cannot sin – for in Christ there is no sin and so when we abide in Christ we cannot sin.. Sin comes from the old sin nature and when we sin we are out of fellowship with Christ – when we sin our communion with Christ has been broken – when we sin we carry out that sin in the old self - the old man – for no one who ABIDES in HIM sins. 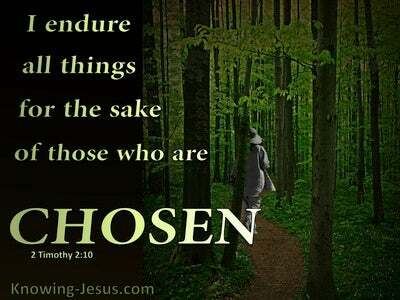 Jesus said IF you abide in Me and I in you – you will be fruitful. Our good and fruitful works are only carried out in the new nature in Christ – for the new nature is being conformed into the image and likeness of Christ. The work of the holy Spirit in the life of a believer is to make our new nature exactly like Christ - and in Him there is no sin. It is when we abide in Christ that we are submitted to the holy Spirit – If we do not abide in Christ we are submitted to the old sin nature. Sins ALWAYS emanate from the old man. 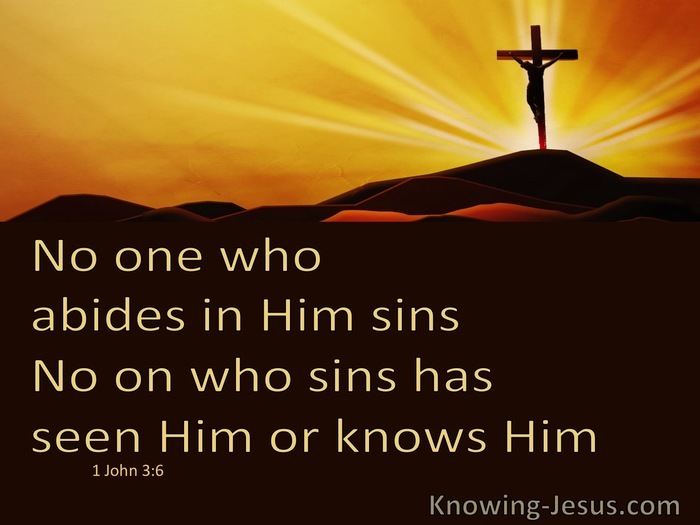 Sins can only take place when we are out of fellowship with the Lord – BUT if we abide in Christ we cannot sin – our new life in Christ cannot sin - for No one who abides in Him sins.